September is his birth month and so here comes a cycle of change and the displacement of stars to further his future. Although the stars never stop their movements but they do have a strong impact in your birth month. So let’s see how was and will be the year 2018 for Narendra Modi. Some ups and downs in financial matters are on the cards for Muntha. While there is also a slight trouble for his position and stature. The rotation of the stars indicate that there maybe heavy financial losses. Loss of property is also indicated on the cards. So, it is the tome when he serves the nation, but he need to focus on his personal life as well. There needs to be harmony but that is not the case this year. There may be disputes with fellow associates, relatives and anyone who is close to him. His health is also a matter of concern. Poor health is on the cards. Narendra Modi’s family and friends must keep a close check on his health. Narendra Modi must control and think about what he says and does, to avoid any unwanted situation. 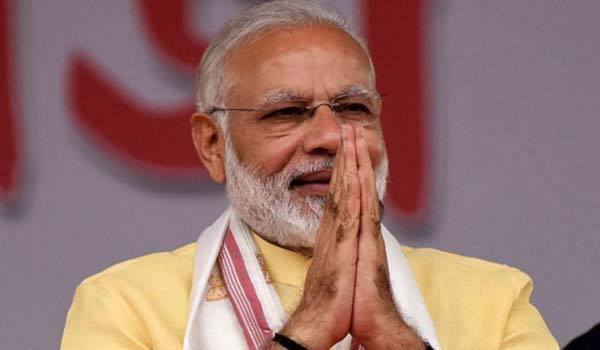 Narendra Modi may not have a very promising outcome of his actions, he will have to choose wisely as to what he does and closely analyze as to what is he expecting from it. Long distance travel is on his cards, but may not be very fruitful. This year is about getting mixed results. Victory and failure both are on his cards. Narendra Modi needs to decide now as to what is really necessary and what is not. The energies are a little lower and so focus is required. However in all the turmoil, Narendra Modi has success on his cards but with great perseverance. Narendra Modi must not make decisions that do not follow his energies, else there maybe disputes in open. And I am sure, that is not what is required. It may be interesting to analyze about the 2019 elections. What the cards suggest is that Narendra Modi’s future will show mixed results. Health issues are still on the cards for a long time. Narendra Modi must keep a tab on his doctor’s appointments; else it may turn into something serious. Some diseases that require special attention are ulcer, rheumatism, vomiting, head an eye troubles, pain in joints or injury due to falling of heavy metallic lump etc. The stars show that there is nothing smooth; it is going to be a rough year both in cases of personal and public issues. Unexpected and harsh situations may arise in Narendra Modi's path but what will get him through is his hard work and self confidence. Narendra Modi must trust his own instincts and believe in himself. Disputes at work i.e. with the officials and the government are likely to happen. This is not the time where you take unnecessary risks.